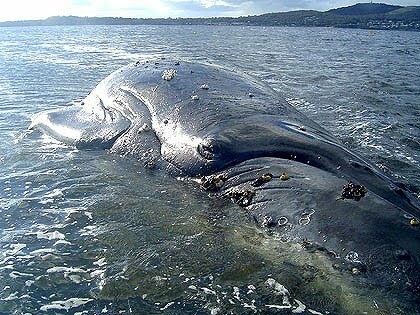 On Sept. 2nd a stranded dying whale was killed by Australian government officials by placing explosive charges on its head and triggering a powerful implosive blow to its brain. This occurred at Albany, on Australia's southwest coast. 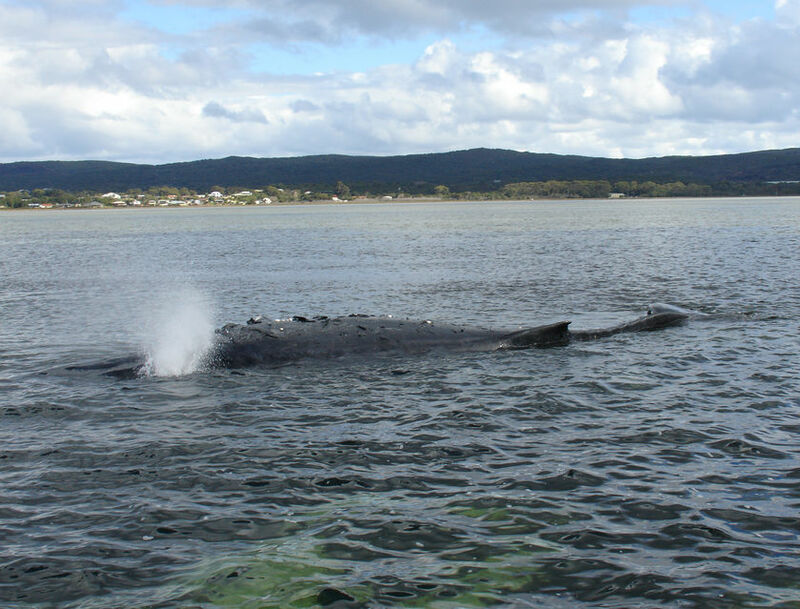 The whale was described as being a Humpback, about 9.5 metres long. It had been stranded for approximately two weeks, and was visibly deteriorating. 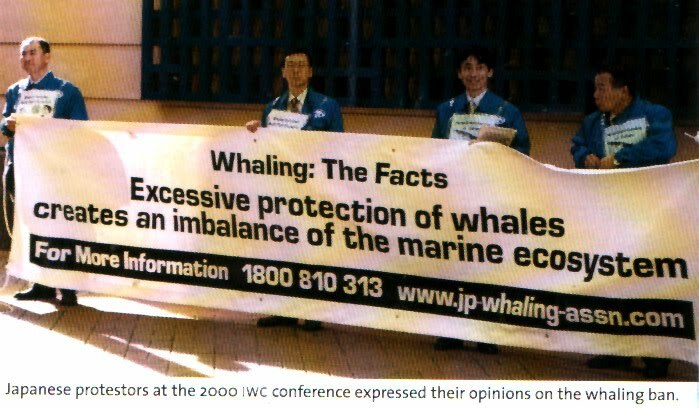 At first the Department of Environment and Conservation (DEC) had determined that no euthanasia was possible for the whale for several reasons. It was "too big to be shot" and because of its position, floating in about a metre of water, "was still strong enough to be a safety risk to humans". The whale moved, stranding itself farther up on the sandbar upon which it rested, effectively immobilising it. At that point, the Albany DEC district manager, Mike Shepherd, decided to euthanise the whale. "Our main priority has always been to treat this animal as humanely as possible while nature took its course," Mr Shepherd said. "In the last 24 hours the whale moved a couple of metres from its original stranding position, which was enough to stabilise the whale so that we could carry out the preparations for a controlled implosion to the whale’s cranium." "We know from experience that predominantly only sick, injured or malnourished humpbacks come inshore, so when they strand they are usually winding down,'' Mr Shepherd said. The implosion method has been approved by the International Whaling Commission as a humane method to be used on whales larger than 7 metres and death is instantaneous. As a contrast, a juvenile Humpback whale, approximately 7 metres long, was rescued off the coast of southern Queensland, on Sept. 4th, after having become entangled in a "shark net". 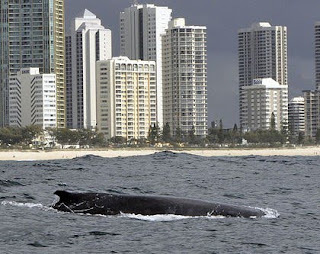 According to Queensland shark control manager Tony Ham from Fisheries Queensland, it took officers less than half an hour to free the whale, which became entangled off Surfers Paradise early on Saturday morning. "The Marine Animal Release Team, made up of officers from the Queensland Boating and Fisheries Patrol and Seaworld, did an amazing job to free the animal," Mr Ham said. "Approximately 13,000 whales are expected to be migrating along the Queensland coastline this migration season," he said. "Juvenile whales such as this are more likely to become entangled than adults as they have less experienced and often travel on their own." 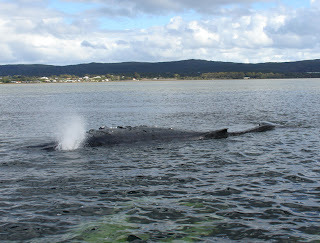 It is the first entanglement this whale migration season. 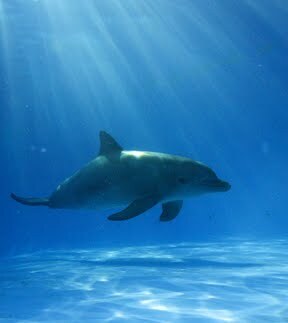 In 2009 six whales that were entangled in Gold Coast nets were successfully freed. These incidents, two days apart, highlight the troubled relationship we have with whales (and dolphins). It is with great sympathy that we consider the terrible task faced by the DEC officials in Albany, as they faced the role they took on, bringing such human-centred values to the killing of the stranded whale. 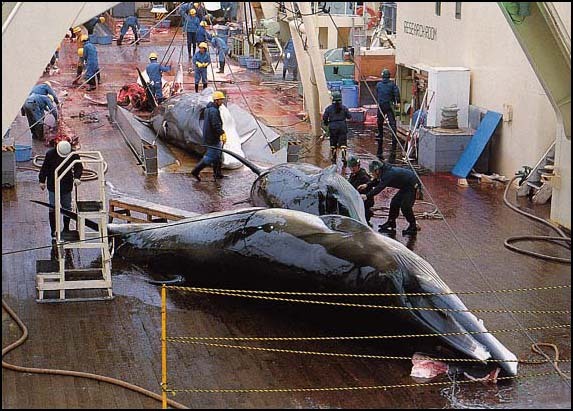 It is certain that their concerns were as stated, to "treat the whale humanely", yet we know, the moment when we take an innocent life, especially one not raised to be eaten, or hunted for food out of necessity, is difficult. Many of us reading these words will have had to do something similar when a beloved companion has come to a final, painful part of their life. We call the vet and ask for our friend's life to be ended. It is always hard. Is the action of the DEC warranted? Would the gradual death of the whale, who was eventually so stranded it could not have been expected to refloat, and whose condition appeared to be deteriorating daily, be acceptable to witness? Was it only the suffering of the whale, assuming it was suffering and not in some state of whale consciousness that was outside our knowing, waiting in some kind of peaceful acceptance, that asked for this decision? Or was it not also the human side, the visions of suffering, the agonising sense that something must be done, something must be done to alleviate our feelings of despair, helplessness, and sadness? Who asks if this is right to do, putting human life at risk for the sake of a whale? We imagine no one does, no one pauses, raises questions, attempts to put forward the case that the whale should be left to die. Is that because the nets are human in origin, that humans have created the danger for the whale? Some people have expressed outrage, in comments left on news sites on the internet, protesting the 'barbaric' treatment of the western whale. While the image evoked by the description of the method used to euthanise the whale is gruesome, after contemplating the issues involved, we find it hard to fault the choice made… in this case, and with the (limited) information we have at hand. We do not uniformly accept this type of decision. However, the evidence presented by the media, unless we learn otherwise, does make a compelling case for euthanasia. In the case of the younger whale caught off Surfer's Paradise, we consider the responsibility of humans, for placing the shark nets in the ocean (which we do not agree with, as they do little to protect anyone during the winter months with few swimmers and many very young whales heading south for the first time, and do kill cetaceans, turtles, and other sea life needlessly) makes it imperative that every effort possible must be made to save any creatures caught…including sharks. Something to ponder, these two nearly simultaneous cases.